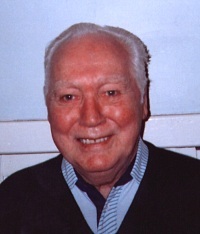 Danny Kane of Larkhall came home from the Army in 1955 with a glowing reference which he hoped would help him to join the police. The height limit at that time was 5ft 10ins and Danny failed by one inch. He decided to try bus driving and joined Central SMT that same year. He was employed as a spare driver on different routes driving various types of vehicles for the first few months, then the Newton run came up for allocation and he decided to apply. Because he was young and new to the garage, he thought some of the older drivers would be favoured but, to his surprise, he was the only one to apply and he got the job. Jim Jamieson was already on the Newton run and Danny became his regular opposite shift partner. Their bus was L484 and Danny felt it was tailor made for him and described it the best bus he had ever driven. He liked it so much he fitted a small carpet in the driving cab! Jim and Danny covered the main shifts from 4.00am until 7.00pm with the last shift covered by a relief driver on a spreadover. Danny recalls the various types of passengers throughout the day - early morning would be miners, steelworkers, nurses, factory workers and bakers. Next would be school children followed by housewives out for their 'messages' during the day. From 3.00pm the process would be reversed and in the evening people going to the cinema, theatre or dancing kept the crews busy. Danny was a bus driver for 43 years and has many happy memories of his time at Central. Bobby Robertson of Larkhall worked as a cabinet maker, which he was quite content with until a particular member of management made everyone's life a misery so he decided to try bus driving for a year. He ended up working for Central SMT for 35 years and never missed a shift in all that time. He passed his test on 6th January 1967 but had to wait for his badge to come through before he could drive. On Friday, 12th January his badge duly arrived and his first shift was driving L484 on two factory runs. Bobby remembered it as a very comfortable bus to drive, probably because it was identical to the training vehicle at that time. That was the only time Bobby drove L484 as it was transferred to East Kilbride soon after. During his time at Bothwell Road, Bobby remembered a lot of the drivers were time served tradesmen, like himself. There were joiners, brickies, electricians, plumbers and butchers. Pay on the buses was above tradesmen's rates and this attracted men from various backgrounds. John McGeoch of Cambuslang remembers the arrival of L484 at Nerston Depot, East Kilbride along with other transfers from Bothwell Road in 1967. 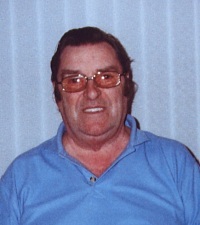 John and his mate Andy Fleming drove L484 on the 70, 71, 77 and 79 routes from Strathaven through East Kilbride to Glasgow but only for six weeks as it was then allotted to the 180/181 service between Busby and Glasgow. Known drivers on that route were Bobby Robertson and Sammy Brandon. John's memory of the bus, which was in the twilight of its service years at that point, was that problems were being experienced with the vacuum brakes and that the radiator had to be topped up at the end of each journey. Nevertheless, he said it was still a good runner. 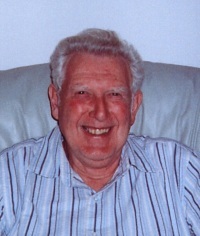 John was a driver for 18 years, 11 of which were on the Strathaven route.